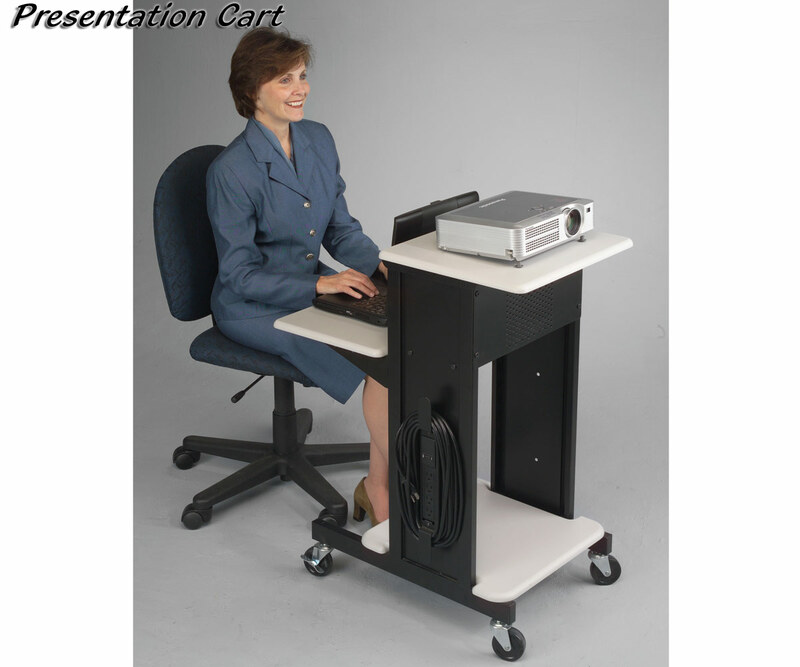 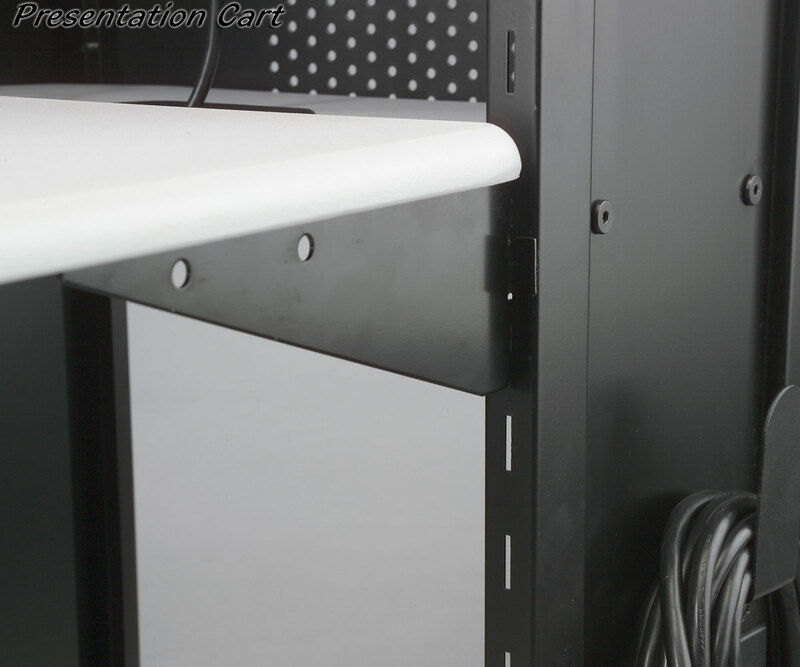 Keep laptop, LCD or projection equipment at the right height. 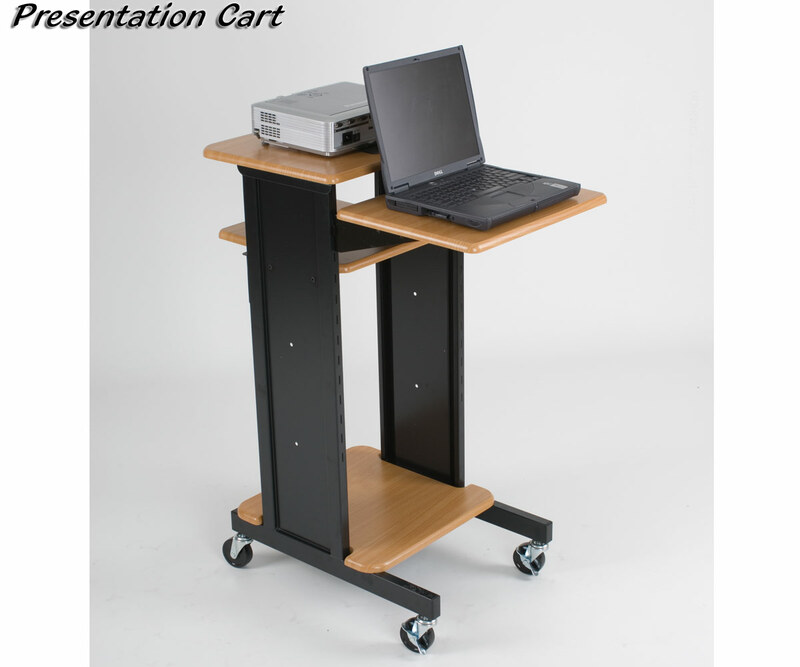 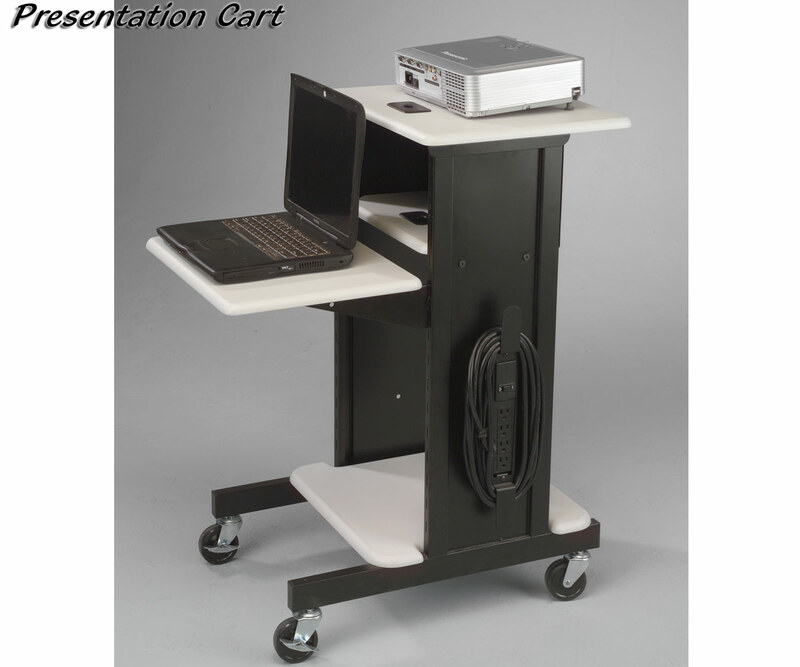 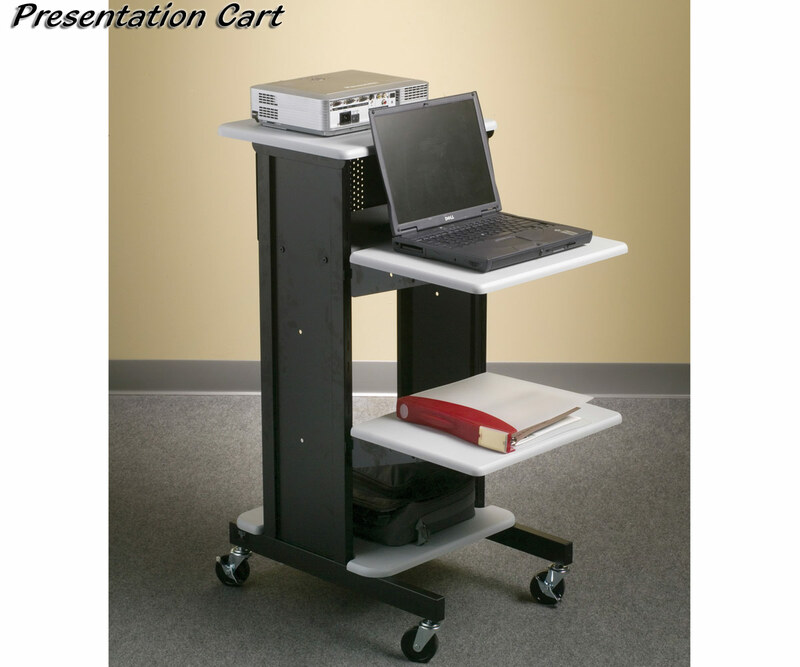 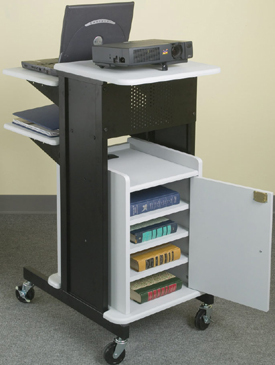 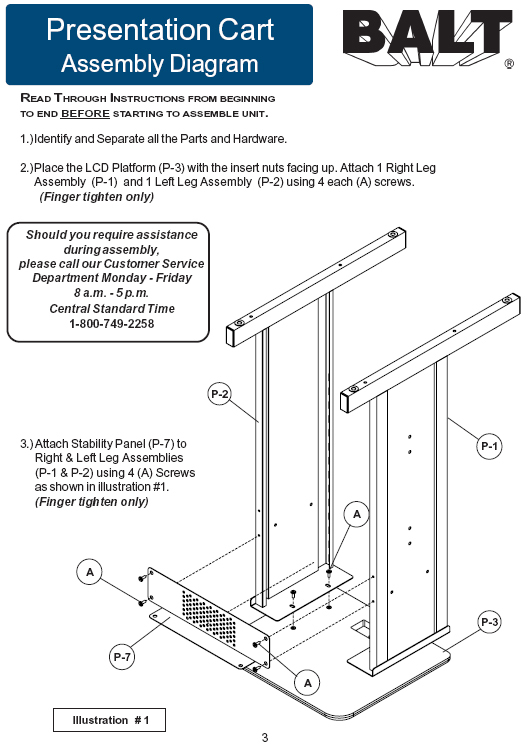 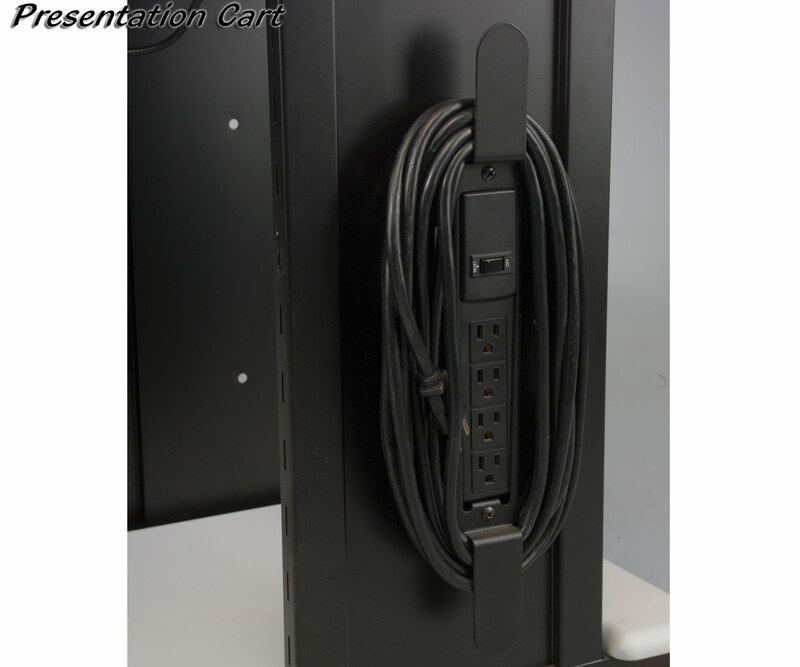 Holds all your equipment on 4 sturdy shelves, laptop shelf adjusts 19-39 1/2" in 1 1/4" increments. 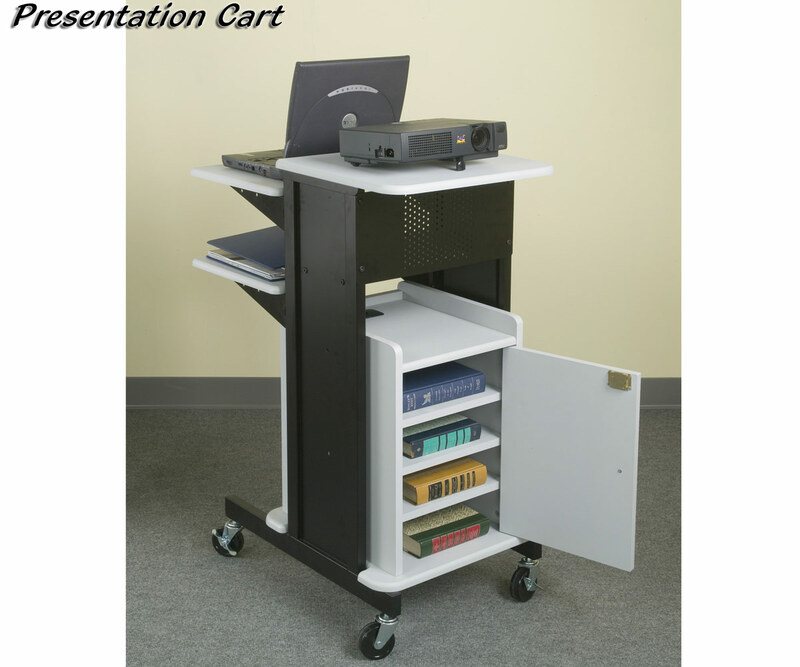 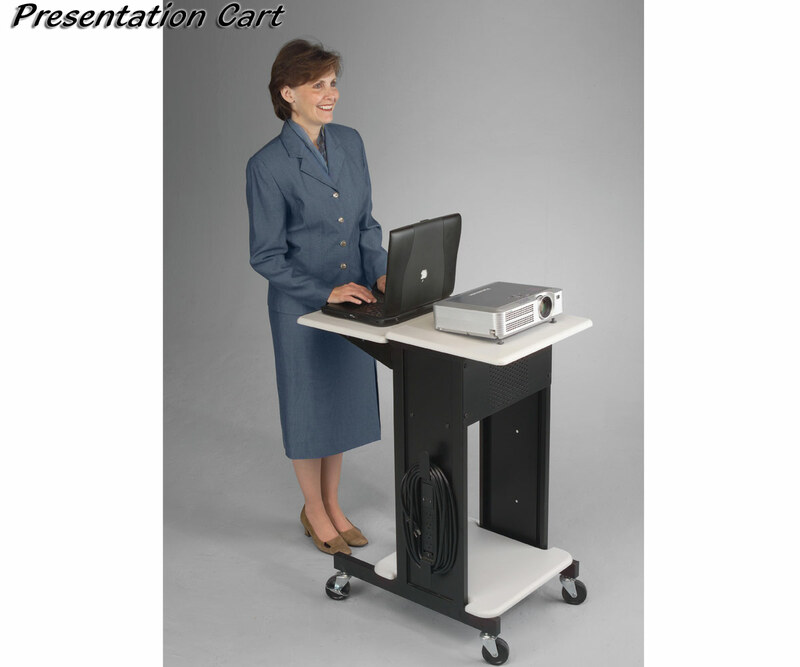 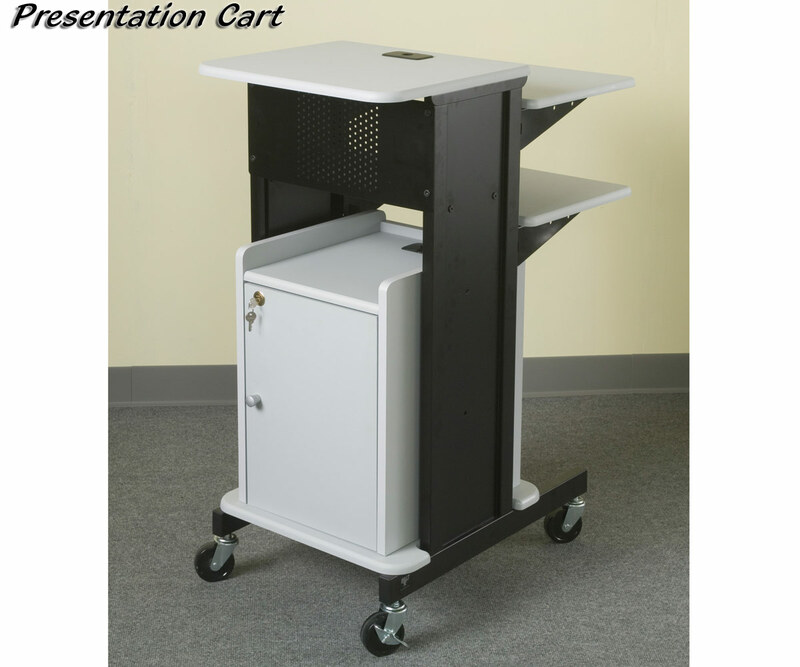 Handy unit rolls on heavy-duty 3" casters (2 locking) for easy maneuverability. 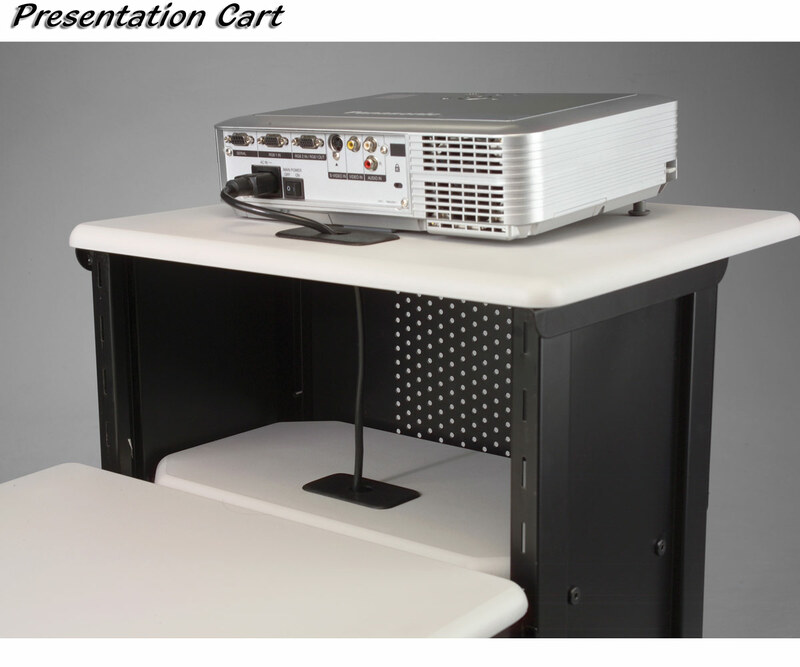 Top shelf measures 18"W x 16D", laptop shelf 18"W x 14"D, Middle shelf 16"W x 9 1/2"D, Bottom shelf 18"W x 18"D.
Optional shelf is 18"W x 14"D, locking cabinet is 21 1/2"H x 20 1/2"W x 18 1/2"D with three removable shelves, electrical assembly has 4 UL/CSA approved outlets, 25' cord and cord winder. 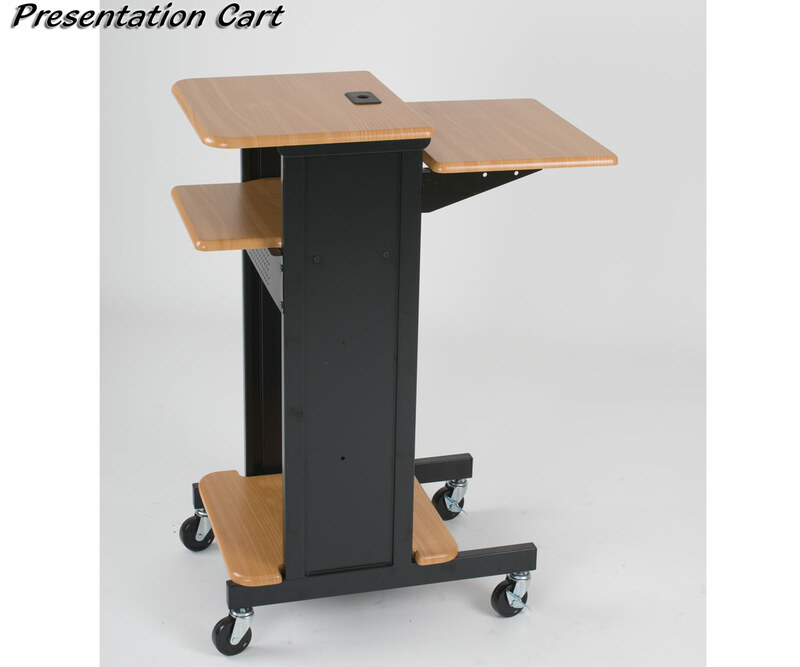 Gray tops with black power-coated steel frame.